An ancient Sith ship hurtles into the future carrying a lethal cargo that could forever destroy Luke Skywalker’s hopes for peace. 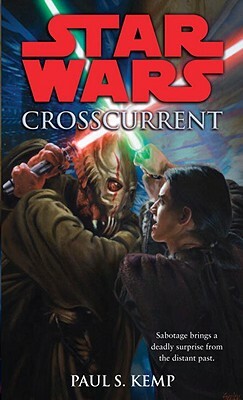 The Civil War is almost over when Jedi Knight Jaden Korr experiences a Force vision so intense he must act. Enlisting two salvage jocks and their ship, Jaden sets out into space. Someone—or something—appears to be in distress. But what Jaden and his crew find confounds them. A five-thousand-year-old dreadnaught—bringing with it a full force of Sith and one lone Jedi—has inadvertently catapulted eons from the past into the present. The ship’s weapons may not be cutting-edge, but its cargo, a special ore that makes those who use the dark side nearly invincible, is unsurpassed. The ancient Jedi on board is determined to destroy the Sith. But for Jaden, even more is at stake: for his vision has led him to uncover a potentially indestructible threat to everything the Jedi Order stands for. Paul S. Kemp is the author of nine Forgotten Realms fantasy novels and many short stories. When he’s not writing, he practices corporate law in Michigan, which has inspired him to write some really believable villains. He digs cigars, single malt scotch, and ales, and tries to hum the theme song to Shaft at least once per day. Paul Kemp lives and works in Grosse Pointe, Michigan, with his wife, twin sons, and a couple of cats.